Having a taste of Lapita Hotel's Polynesian hospitality during a Daycation Brunch last year, Ed and I were keen on going back for a proper staycation. 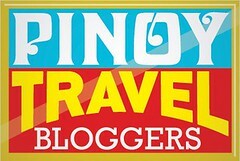 We super love the island vibe that drifted us away from the desert to the tropics in an instant. So a few months later, we found ourselves back in Lapita for Ed's birthday. 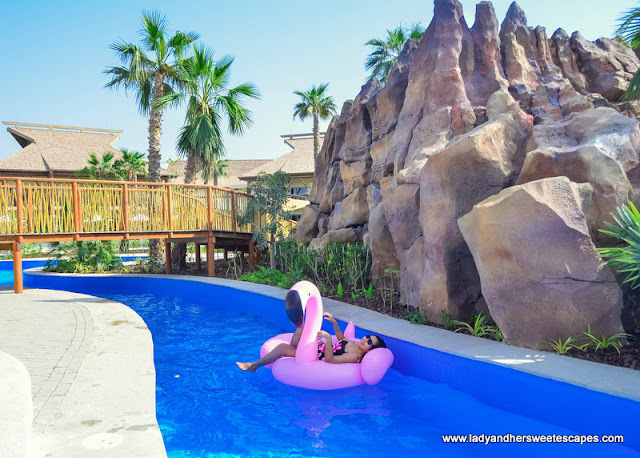 The hotel stay + park access package was a no-brainer for us who crave for a little R&R plus a whole lot of adventure on the side. Ed and I smiled from ear to ear as we were greeted with an Aloha at the hotel lobby. The check-in counters were busy that morning, but the atmosphere is so warm that we hardly felt we're waiting for quite some time. 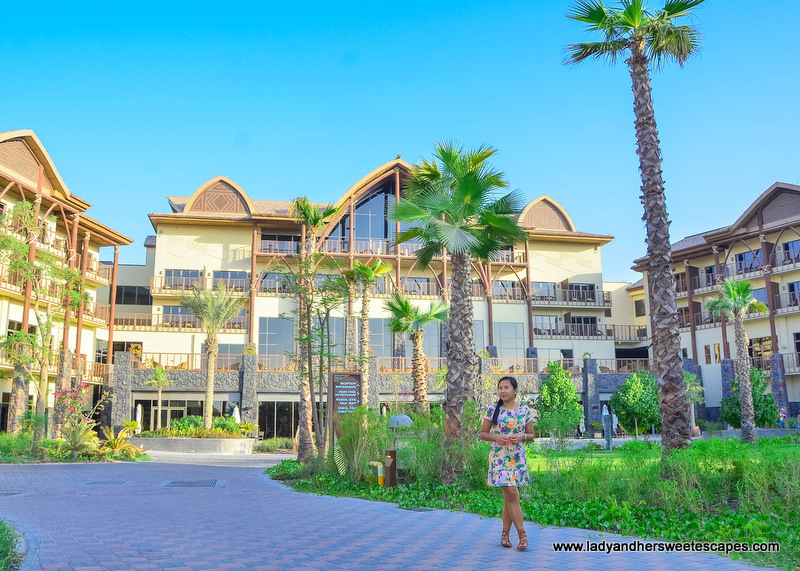 Lapita is a unique Polynesian-themed resort; the first of its kind in the UAE I guess. It is a sprawling property dotted with thatched-roof buildings, lush gardens, palm trees, and swimming pools! Lapita is a Marriot Autograph Collection Hotel. It has a stylish Polynesian theme. Its 8 buildings were named after Polynesian flowers. The whole vibe took me away to an island in Oceania! 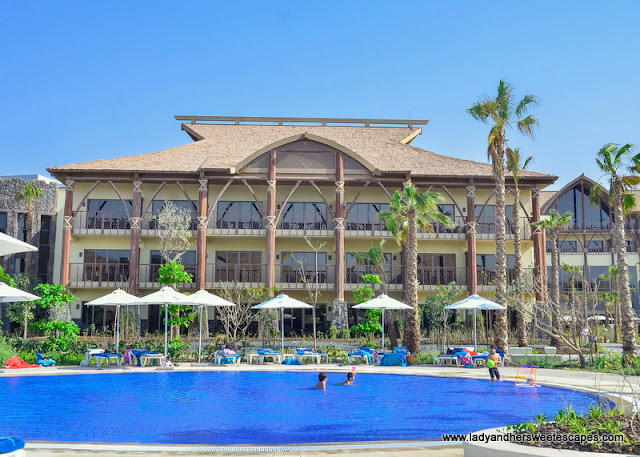 Lapita is located right in the heart of Dubai Parks and Resorts; hence it is arguably the ultimate staycation spot in Dubai for the park goers! The property is conveniently connected to Riverland's French Village. 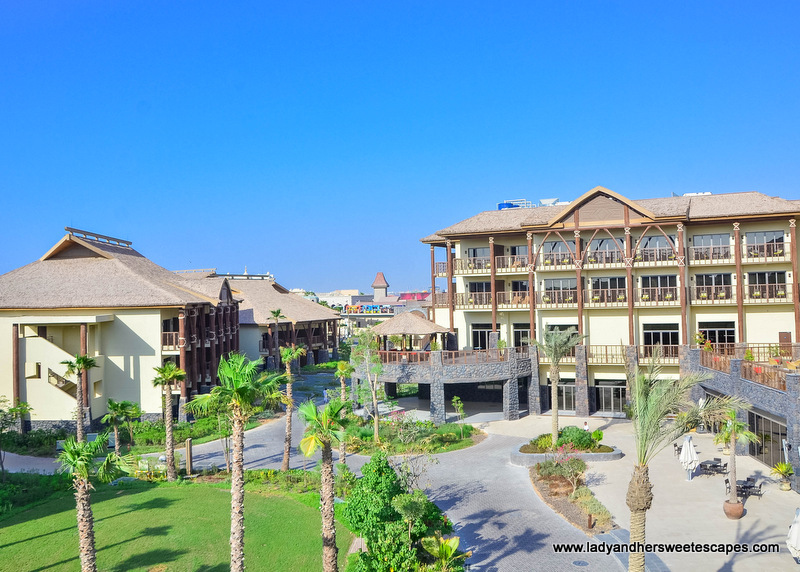 A short stroll or quick buggy ride from the reception led us to UAE's version of France's fairytale town. And from there, we took the free shuttle to the other theme parks. 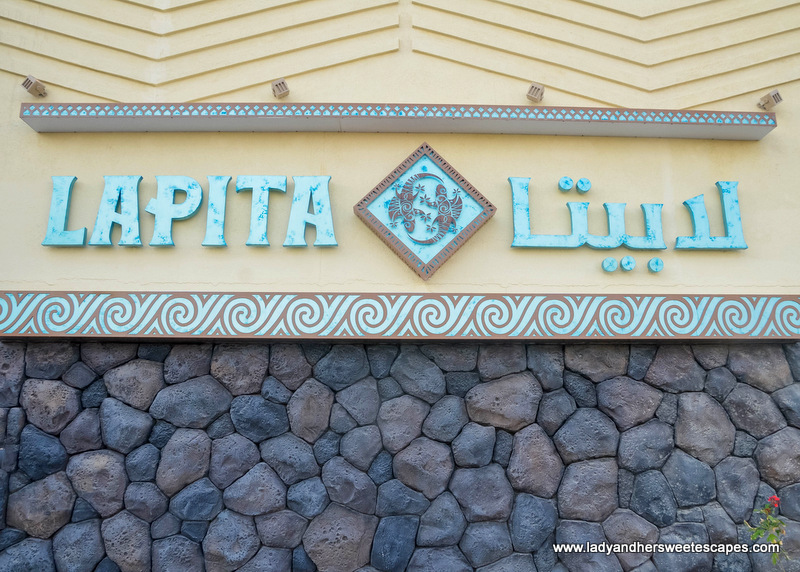 Lapita is a stone's throw from DPR. I could almost see the French Village from our room's balcony. 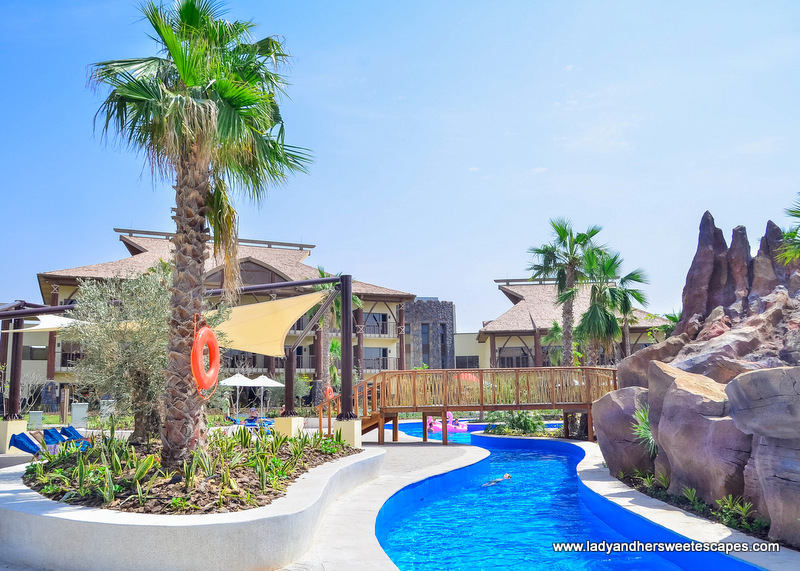 It is situated near the theme parks, but also a destination on its own. That is the big question! 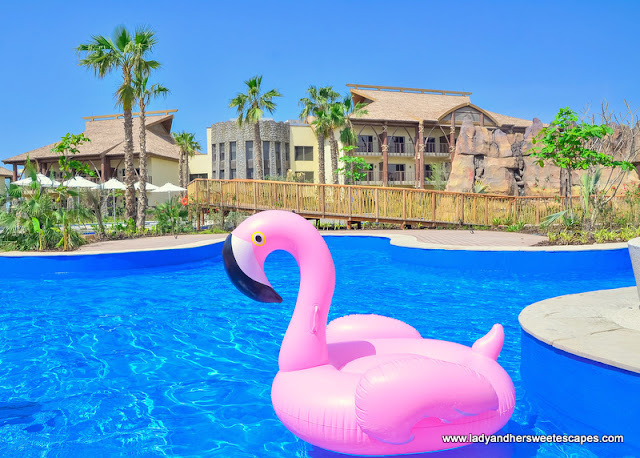 Lapita Hotel is conducive for relaxing and lazing around; be in the hotel room or in the lazy river! That created quite a dilemma as our stay was inclusive of access to the theme parks in the vicinity! 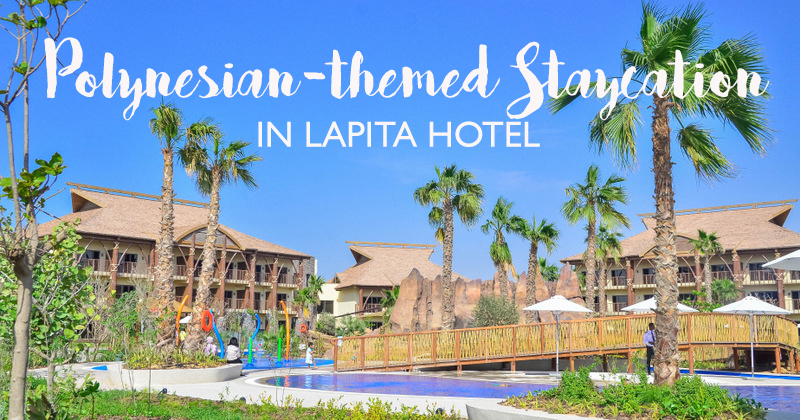 Needless to say, we were torn yet appreciated the fact that we were having the best of both worlds in Lapita! Lapita has a lazy river. 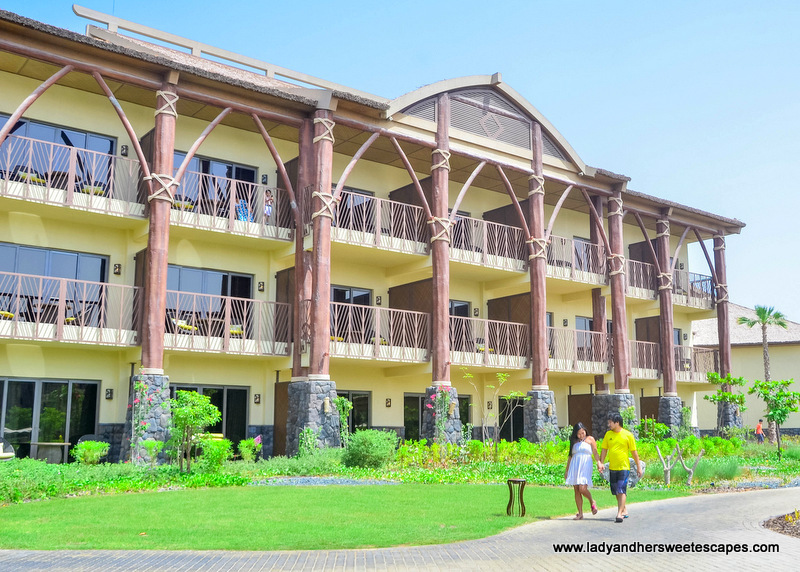 It runs through the resort's lush gardens. The hotel resort also has two temperature controlled lagoon-style pools. 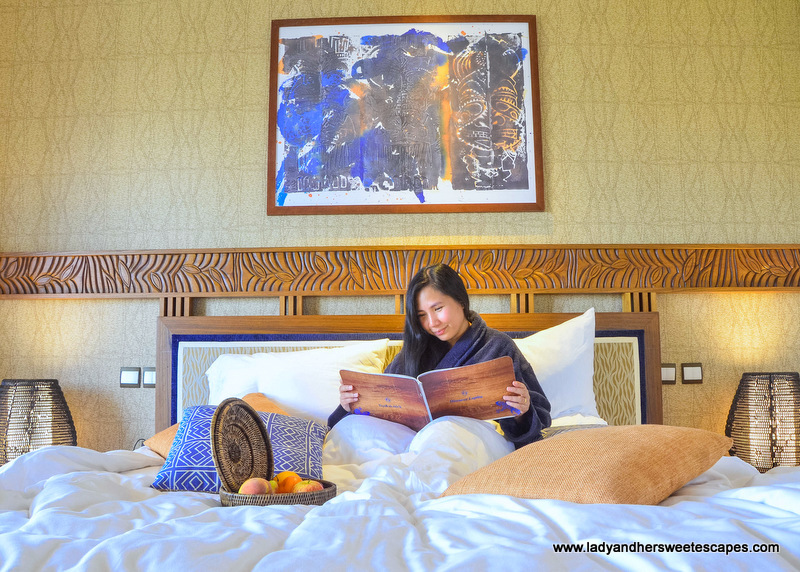 We booked a one night stay in a Deluxe Room, but thanks to Lapita's generous hospitality, we were upgraded to a suite! 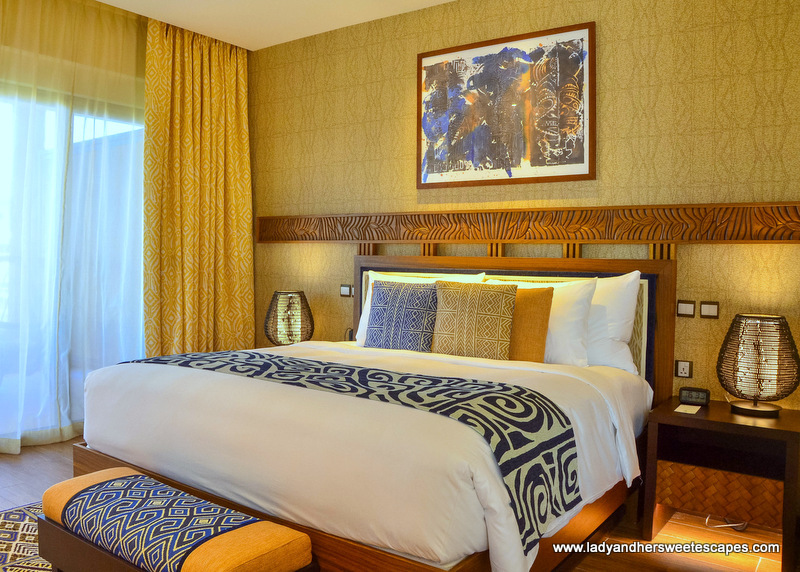 The super spacious accommodation embraces the hotel's whimsical Polynesian vibe. 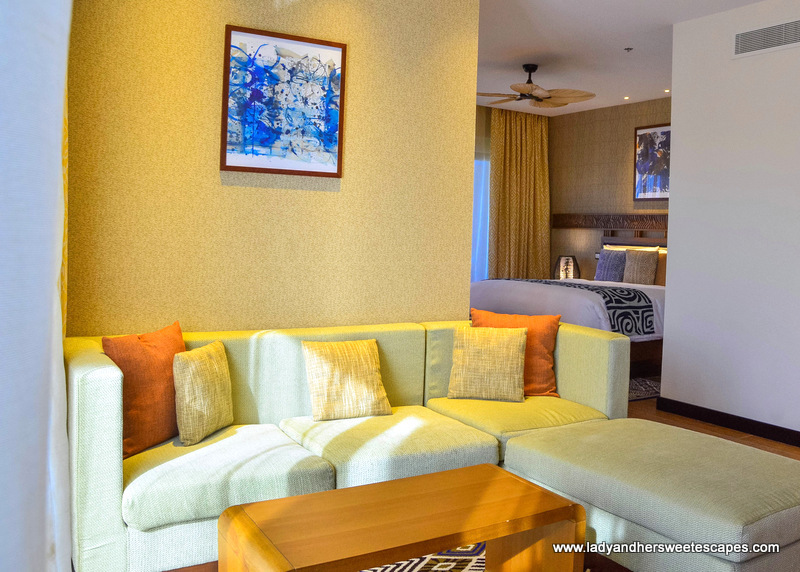 It is decked with things that reminded me of the tropics; wooden lamps, palm-leaf ceiling fan, and tribal print cushions. 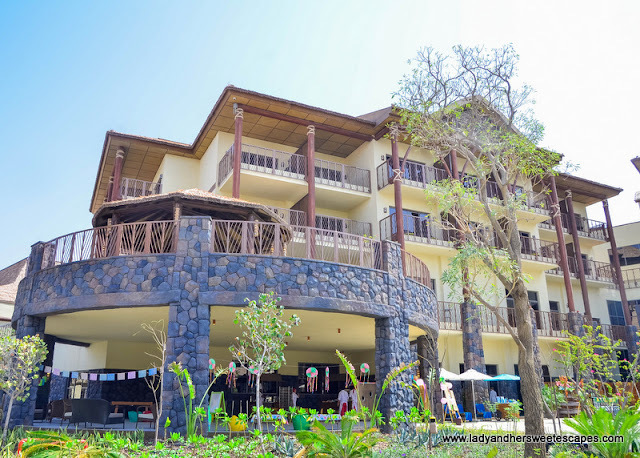 We slept soundly in a plush king bed and spent the first hour of the morning catching some sunrays in one of the two balconies! 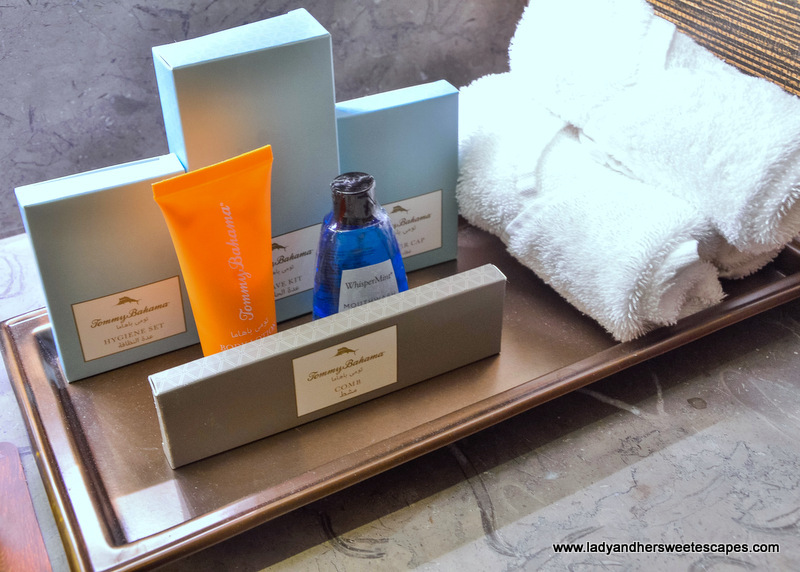 The bathroom features a rain shower and spoilt us with Tommy Bahama bath products! This is our room in Lapita. Look at those patterns and wood works! 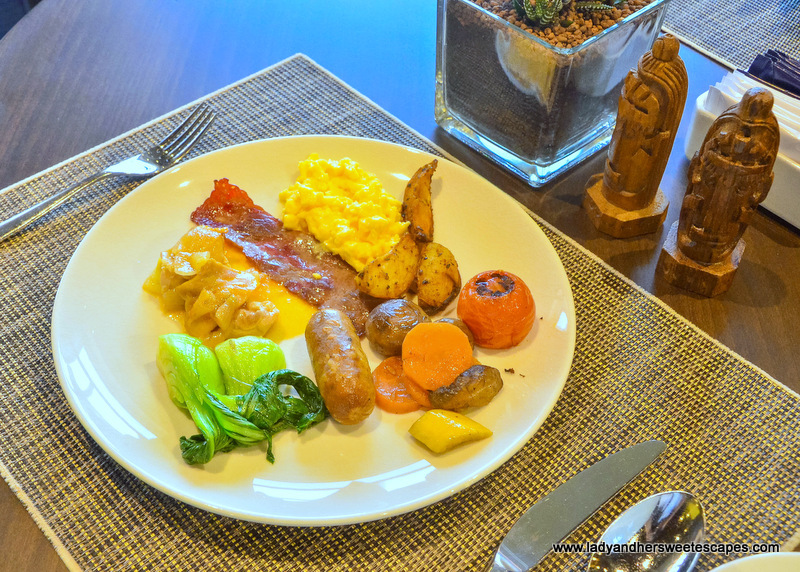 As Lapita was fully booked during our weekend stay, we found a long breakfast queue in Kalea restaurant. It is a huge restaurant (We have been there for Daycation Brunch before.) yet it was still overflowing with guests; mostly families. With the breakfast situation, the staff were quick to respond and opened Hikina for the guests Kalea cannot accommodate. The same bountiful breakfast buffet waited for us in Hikina. Apart from the breakfast basics, we love the fresh and healthy choices. Lots of fresh fruits and vegetables were incorporated in the spread which reminded me of the vibrant Friday brunch we had in Lapita a few months back. My breakfast plate in Lapita hotel. This fresh spread is still vivid in my mind! Lapita Hotel is one of the best hotels we have stayed at in Dubai, if not the whole United Arab Emirates. The theme is on point! The food (This is solely based on the breakfast and brunch. We need to go back to try more) is top-notch. The service went above and beyond my expectations. 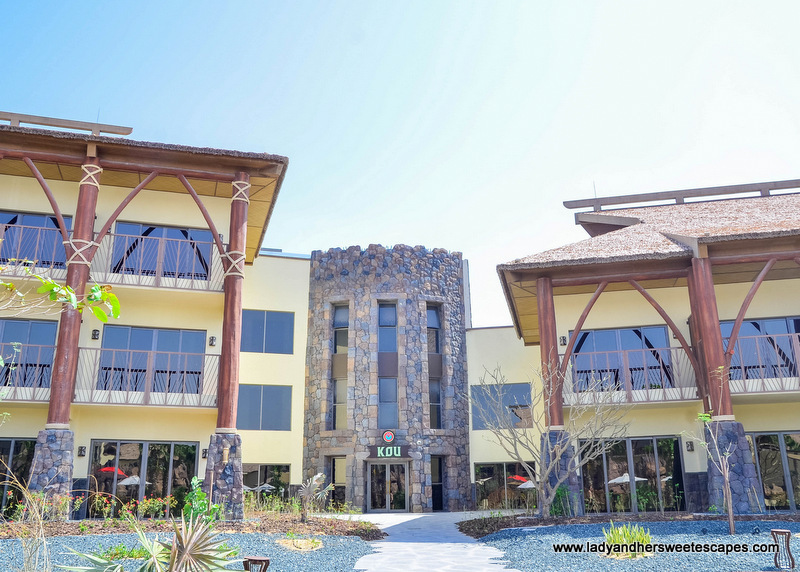 The hotel stay and theme park combo is a good value for money!